Home among the trees, feel the serenity the moment you arrive. Resort style retreat surrounded by native trees, birds and wildlife. An architecturally designed home intended to create the feeling of living in a treehouse. Superb valley views are captured by every room in the house. Drink in the sights and sounds of nature as you relax in luxury in total privacy. Huge deck & BBQ area, balcony & daybed, floor to ceiling windows, beautifully decorated and furnished, comfy beds with soft linen. This amazing home is an ideal couples retreat or solace for a family seeking escape from the city. 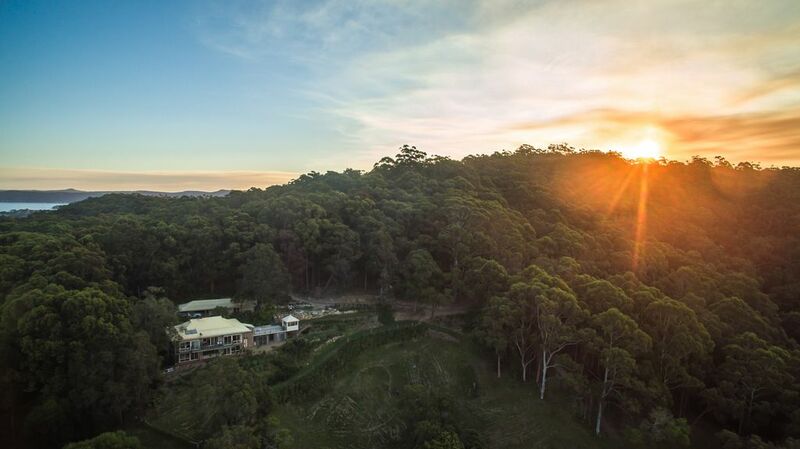 Stunning vista views from all windows as property is high up and secluded backing straight onto Katandra Reserve.